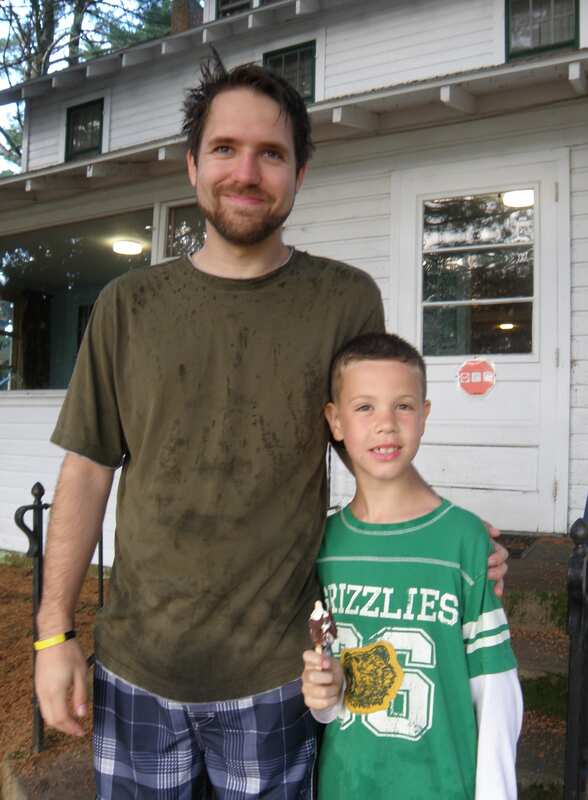 Counselor David O. and new camper Tanner H.
Making New Friends” was the focus of week 1 activities, including evening Cabin Activities to help the cabin group bond. 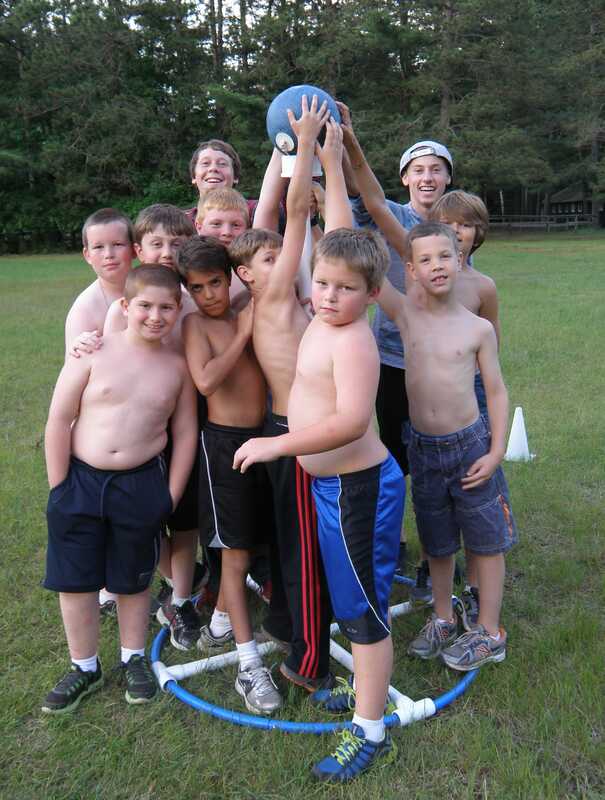 If you’ve been checking the daily Towering Pines photos on Facebook or Smugmug, you already know that Dodgeball, Angle Ball, Kick-the-Can, Water Basketball, Kickball, and Basketball have all been popular camper choices. You’ve also seen tons of group photos full of smiling campers. “This is my first year at Towering Pines. My dad came here as a camper. When he heard that my friend’s sister was going to Camp Woodland, he remembered about this camp and let me come here too. I haven’t been homesick at all. I have a lot of friends, in all the cabins, too many (friends) to count! I become friends with (the other campers) by playing with them and talking to them, so I have friends in all my activities. Thanks for sharing your insights Tanner! 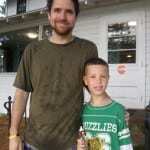 And thanks Dad, for letting your son have the same great experiences you had as a camper.